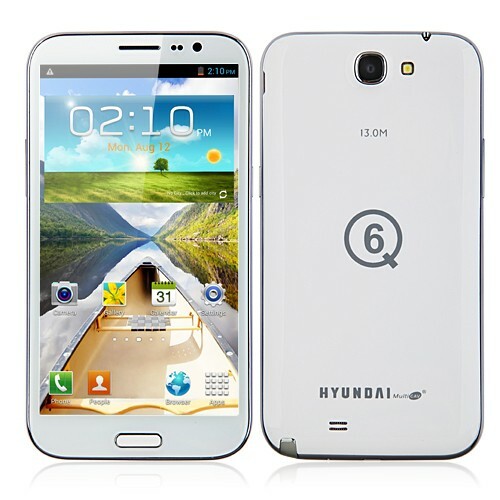 The Hyundai Q6 is a mid-range Android smartphone released by Korean manufacturer Hyundai back in March this year. The Hyundai Q6 rocks a decent 5.5″ HD display powered by a 64-bit MTK6732 chipset along with 1GB of RAM. Other key spces which come along with the device include a 8GB internal storage, microSD slot, 13MP rear camera, 5MP front-facing camera, 3,300mAh battery as well as Android 4.4 KitKat running out of the box. Back up the Hyundai Q6 smartphone. Connect the Hyundai Q6 to your PC using an appropriate USB cable. Open the Framaroot app on your Hyundai Q6 smartphone. 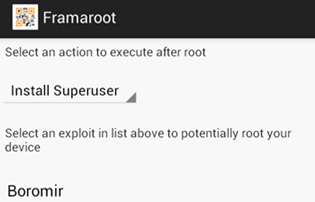 From the Select an exploit section, select the Sam exploit. ( You can try Frodo or Aragorn exploit if SAM doesn’t work ). Congratulation! You’ve just rooted Hyundai Q6! Once you have gained root-access on your Hyundai Q6, you will be able to install custom ROMs as well as recovery on it. 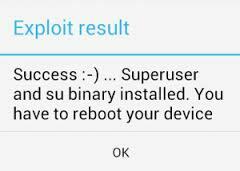 In the meantime, stay tune for more how to root tutorials!